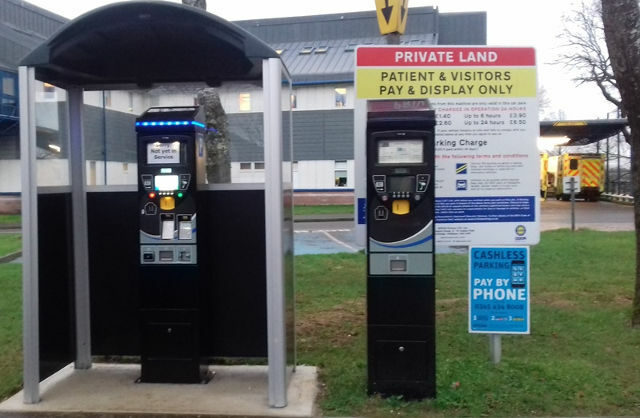 Isle of Wight NHS say patients no longer have the worry of their parking ticket running out if their appointment overruns, but some say they’ve had to wait 20 minutes to pay for parking. Queues are continuing to form at St Mary’s Hospital, five months after the new parking system was implemented. Following a consultation, an automatic number plate recognition system replaced the old ‘pay and display’ machines. Visitors to the hospital using the main car park now pay before leaving, rather than upon arrival. However, queues continue to form — leaving some visitors waiting for up to 20 minutes to pay and leave. A spokesperson for St Mary’s Hospital said an adjustment period was needed to allow people ‘to be completely comfortable’ with the new system. They said they found some visitors needed more assistance than others, and delays could occur at busy times of the day — such as when clinics are held, or when people come in for blood tests. “We are continuing to support patients and visitors with using the payment machine and are working with APCOA to improve the payment process and introduce other ways to pay. 12 Comments on "Some drivers waiting 20 minutes to pay for parking at St Mary’s"
One can’t help wondering whether a bloke in a box wouldn’t be more efficient. Welcome to caring Conservative government! Welcome to needless overuse of personal transport! Welcome to a poster who doesn’t understand the NEED for personal transport by an increasing number of users. Queues could be because there used to be 3 machines before. Also if you have a ‘short’ 4 digit registration the machine will not accept it!